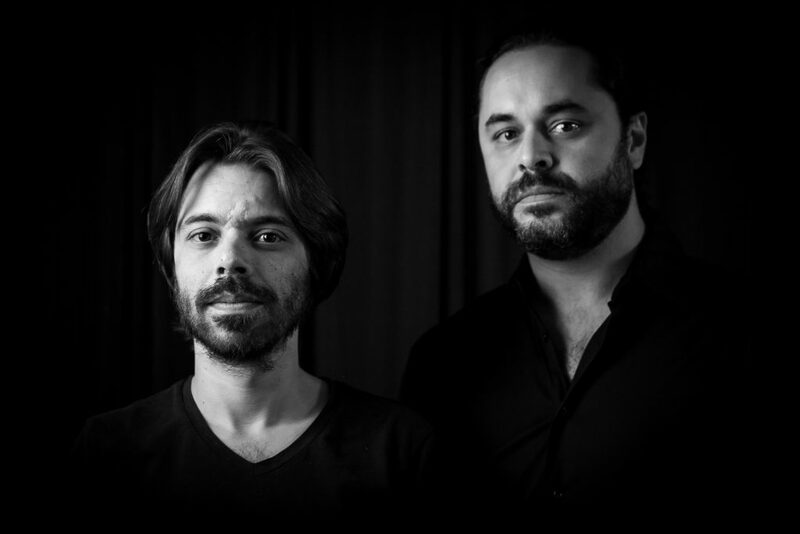 Coladera are two musicians from Brazil & Portugal, who have invited various musicians from other Portuguese-speaking countries like Cape Verde and Angola to participate on this album. Their first official international release have crafted an exquisite and exploratory sound, adding new layers upon their individual and rich traditions. Singer-guitarist Vitor Santana from Belo Horizonte, Portuguese singer-guitarist Joao Pires are named after one of Cape Verde’s musical traditions, Coladeira – a form that borrows melodies from fado and rhythms from Brazil and Angola. Sung mainly in the Portuguese language but with a couple of songs in Cape Verdean creole, their upcoming album “La Dôtu Lado” features guest percussionist Marcos Suzano, a Brazilian pandeiro master, and seamlessly pulses between the traditions of each country and also percusssionist Miroca Paris, who has been playing for many years for the Queen of Morna, Cesária Évora, with poignant lyrics about the spirits of the Orishas, deities worshipped by slaves who were shipped across the Atlantic to Brazil from West Africa often via Cape Verde. Indeed, Cape Verde was an empty island until the Portuguese empire found it in 1456 and it wasn’t long after when Cape Verde was central to the Portuguese’s triangular trade system strategy. Coladera have released a previous long player back in 2013 but with little fanfare. Despite the modest release, they played at New York’s Summerfest and Joe’s Pub amongst other festival dates around Europe. Whilst both albums have flirted with Cuban rumba with striking Andalusian guitar flourishes, the project has always been Lusophone and inspired by close friendships and travel. For Vitor, a guitarist with grounding in classic bossa nova, the music of Coladera at times felt like a nostalgic trip exploring the dulcet and minimal groove of the guitar and voice. All musicians have, at different points, lived or been at the coalface of their respective musical cultures within the Lusophone Atlantic triangle. Joao grew up listening to and learning fado, studied flamenco in Andalusia and has lived in Cape Verde, and Vitor lived with Joao for two years in Brazil and has lived and performed throughout Europe.